The Total Medical Compliance team has been dedicated to customer service for over twenty years that we have been in business. In our twenty-three-year history, our team has grown from two to twenty caring and knowledgeable professionals, dedicated to compliance education and quality compliance support. Learn more about each of our team members by clicking on their picture. And as always, if you have any questions, please contact us. Bill joined the company in 2005. Bill worked with Motorola for over 20 years in technology and customer service, prior to joining TMC. Bill has been a technical educator for over 27 years. He has given various technical presentations to diverse audiences worldwide. Debra has a BS in Biology from Erskine University and 2 years of postgraduate work in Genetics Biology at the University of South Carolina. Debra is a specialist with OSHA and HIPAA issues and citations, and assists our clients with resolving their most difficult matters. Karen has over 20 years’ of experience working in the outpatient environment, both at the front line delivering patient care and in the management arena. She is passionate about both employee and patient safety, and takes every possible opportunity to improve the quality of healthcare for all involved. Karen is currently the Director of Compliance and Education for TMC where she develops compliance materials in addition to training consultants, as well as clients. She is a frequent speaker for professional organizations and at conferences nationwide on OSHA, HIPAA and Infection Control. Karen has been selected as a Hu-Friedy Key Opinion Leader, is on the Editorial Review Board for the OSAP publication Infection Control in Practice and serves on the Board of Directors for OSAP. Nichole joined Total Medical Compliance in 2011 and is our Director of Marketing. Nichole graduated from Washington State University with a Bachelor of Science. Before coming to work for TMC, Jo was most recently employed by a large hospital based physician group as a practice manager for a large internal medicine group for seven years. Her experience in practice management includes a psychiatric/psychology group, a chiropractic group, and an orthopaedic group. Before practice management, she worked for the American Academy of Physician Assitants as the CME Coordinator in Virginia while her husband was stationed in the US Army. Diane has a BA from George Mason University and has experience in the Washington, DC area in broadcasting and legal offices. She has enjoyed working with our clients as part of the Client Services Support Team since 2008. Tanner joined Total Medical Compliance in 2016 and is part of our Client Services Team. He has an Associates Degree in Business Management. Susan brings over thirty years of experience as a Registered Nurse to TMC. Her experience includes providing direct patient care in a hospital setting and most recently as an Ambulatory Surgery Center (ASC) Director. During her tenure in the ASC arena, Susan was responsible for providing continuing education to staff and physicians in the areas of infection control, risk management, and safety issues. She understands this education is an integral part of delivering excellent patient care in a safe environment. Janice has extensive experience in the healthcare industry as a Medical Technologist. She is an ideal candidate for training in BBP, Haz Com and other safety issues for medical and dental practices. Prior to joining TMC, Janice worked as a medical technologist providing her the opportunity to understand the operational issues or challenges involved in providing a safe work environment. Janice joined TMC in 2001 and is consistently involved in the delivery of over 100 employee safety trainings each year. Janice also is trained in Dale Carnegie’s High Impact Presentations and has her OT1511 Course in Occupational and Health Standards for General Industry. Pam has more than 25 years of experience working in the healthcare industry. Because of her work providing direct patient care and functioning as the Safety Officer in physician practices, she is the ideal candidate for delivery of employee training on bloodborne pathogens, hazard communications, and other safety issues inherent in the small physician or dental practice. Pam joined TMC in 2001 and is consistently involved in the delivery of over 100 employee safety trainings each year. She has successfully completed the OTI511 course, Occupational and Health Standards for General Industry. Pam is also trained in Dale Carnegie’s High Impact Presentations. S’Elaina has been dedicated to her patients for over 15 years as a dental hygienist and has facilitated learning for dental offices all over NC as an imaging software instructor for Dexis. Her clinical experience has prepared her to assist practices with OSHA and HIPAA compliance. S’Elaina’s excellent presentation skills, as well as her calm demeanor are additional qualities clients will appreciate. S’Elaina has a heart for serving and has done international missions in Haiti. She enjoys time with her husband, daughter, and friends during times of leisure. 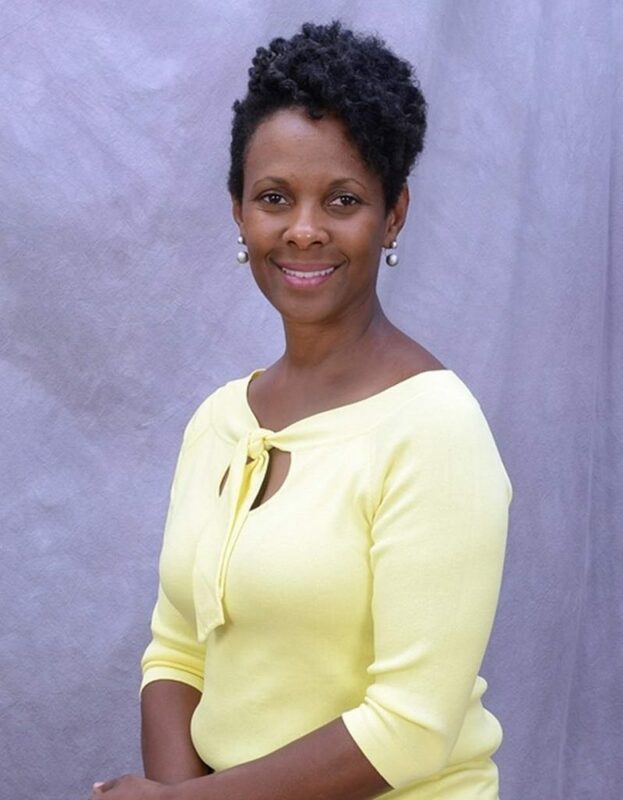 Yolanda Rouse has over 23 years of experience in dental practices delivering patient care as a certified dental assistant. Additionally, Yolanda served as the OSHA compliance officer in many of her practices affording her the opportunity to understand the regulations applying to employee safety in the healthcare environment. Through her experience working in the out-patient arena she is the ideal candidate for delivery of training on bloodborne pathogens, hazard communications, and other safety issues inherent in the small physician or dental practice. Yolanda has her OT1511 Course in Occupational and Health Standards for General Industry. Heidi has over 14 years experience working in the dental field. As a certified dental assistant Heidi has vast experience with the technical challenges and operations of the dental practice. As part of her role in various dental practices she was responsible for instrument processing, chair side delivery of care which included radiology services and for oversight of the practices’ OSHA program. Through her years of experience working with OSHA standards she developed a keen understanding of the rules and enforcement standards. Heidi has her dental assistant certification and is certified to take dental x-rays which include digital x-rays. She also has her OT1511 Course in Occupational and Health Standards for General Industry. Nancy has over 30 years experience as a Registered Nurse working in health care settings. Hospital, home health, and surgical environment providing direct patient care. Nancy is the ideal candidate for delivery of training on bloodborne pathogens, hazard communications, and infection control in medical and dental practices. Nancy joined TMC in 2011 as a consultant. Prior to joining TMC, she worked in a Surgical care unit as a charge nurse and providing patient care. She has the knowledge and hands on experience to understand the importance of employee safety, bloodborne patient and infection control in the healthcare setting. Renee completed the Dental Assistance Course in 1988 and earned an associate degree in dental hygiene from Florence Darlington Technical College in 1992. She graduated with a Bachelor of Health Science degree from the Medical University of South Carolina in 2006. Renee is an active member of the South Carolina Dental Hygiene Association, the American Dental Hygiene Association, and The Organization for Safety and Asepsis Procedures. Renee has been selected as a Hu-Friedy Key Opinion Leader. Renee was honored as South Carolina’s Dental Hygienist of the Year for 2010. Renee’s experience both as a chairside dental assistant and a hygienist helps her to fully understand the needs of dental team members in achieving HIPAA Compliance, OSHA compliance and infection control. She has served as a speaker nationwide on OSHA, Infection Control and HIPAA. Amy has more than 25 years of experience in the healthcare industry in both in-patient and out-patient settings. Her background includes Long-term Care, Emergency Medicine, Podiatric Surgery and Oncology. Just prior to joining TMC, Amy worked for a large private Oncology practice in Virginia as a Medical Office Specialist and a Medical Assistant providing provider support and direct patient care. Before her transition to Oncology, Amy was an Office Manager and Assistant for a busy Podiatric surgical practice for 8 years. Her experience as an EMT, Fire and EMS President, CNA, Medical Assistant, Medical Office Specialist and Medical Office Manager makes her an ideal consultant as she has a thorough understanding of a healthcare practice’s needs when it comes to compliance.